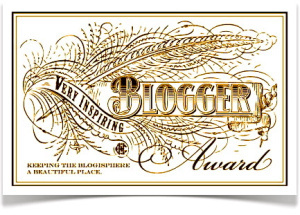 June 7, 2014 ~ Watch Out For the Polliwog! 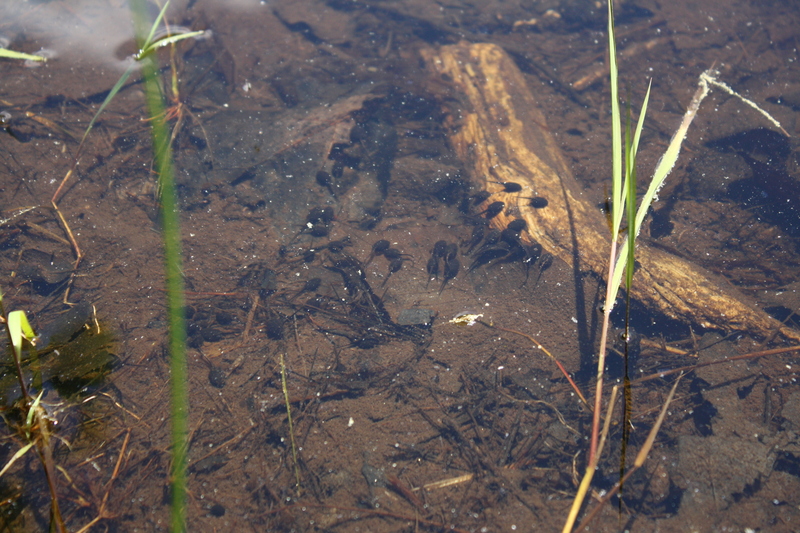 Lots and lots of tadpoles! The girls were excited as we ate a quick lunch, gathered some snacks, put on old and tatty sneakers, and packed them in the car. Though Ashlin did succumb to her no-nap protest and studied the inside of her eyelids on the drive out. She ended up with a decent 25 minute or so nap. Teagan, Stu and I played punch-buggy. She is getting better at it. 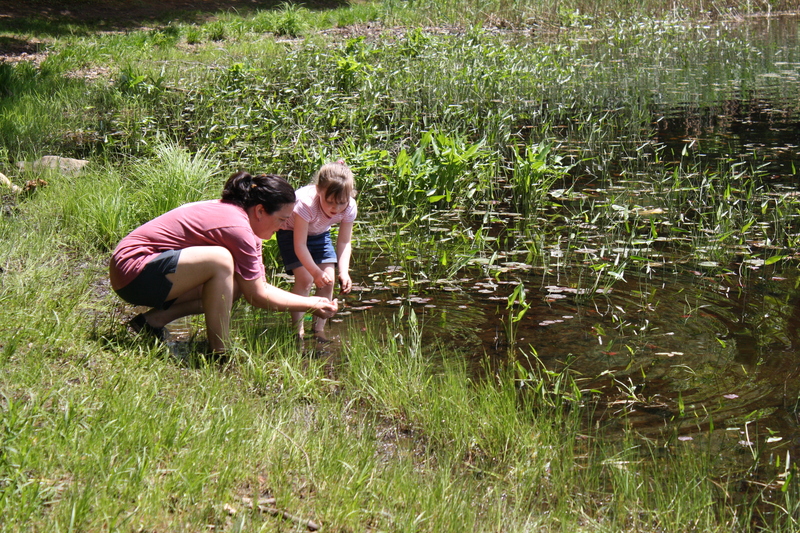 We took the swamp walk, a meandering wood pathway through some wetlands with stinky water. 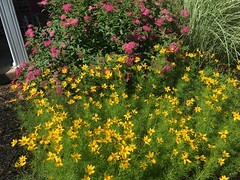 There were some pretty purple flowers, red and yellow birds and lots of green stuff. No polliwogs. Also, no water access. After a little bit we arrived at the south shore of the lake. As we crossed the dam we could see shallows and reeds. 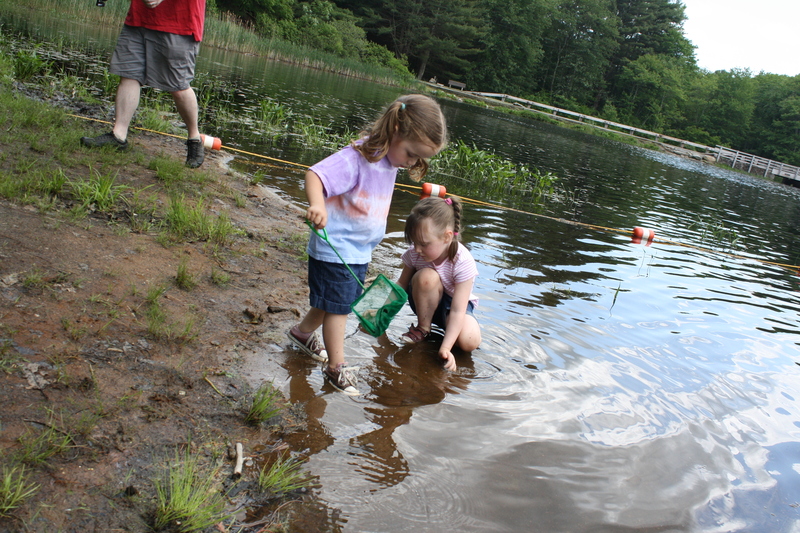 Muddy shore, but tadpoles! Teagan came right up with me to look at them. Ashlin hung back a bit. 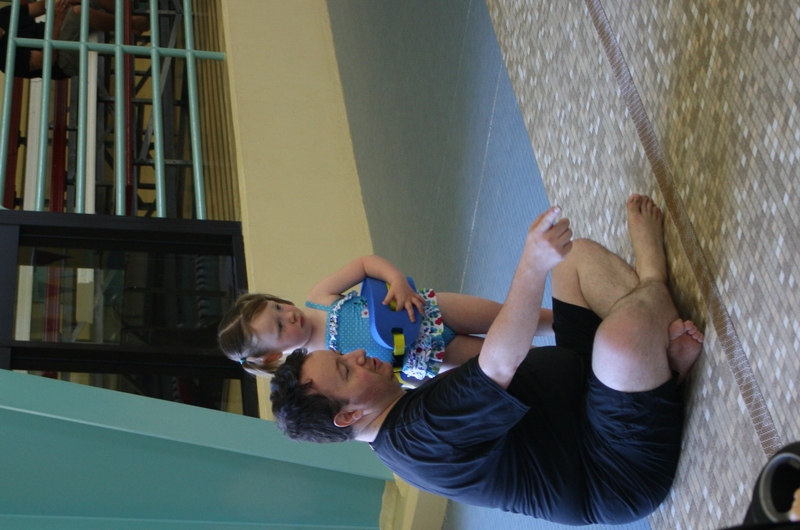 Teagan always jumps in with both feet – literally today – when learning something new. She doesn’t always slow down enough to take in instructions. It took her a few attempts, and shoes full of mud, before she caught any with the net. A few more to catch them with her hands. But she did it! And had so much fun. 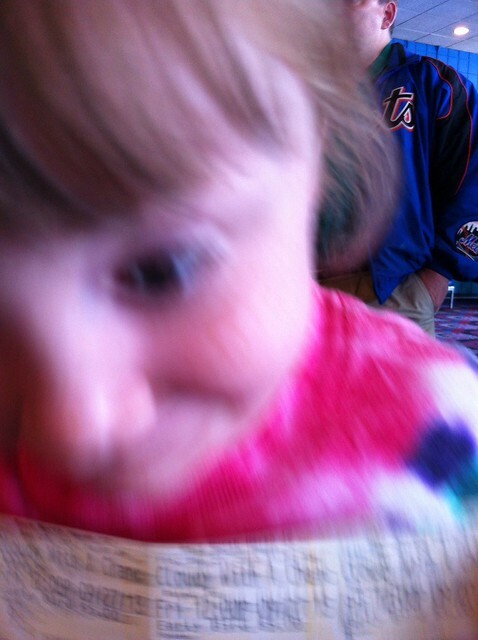 Ashlin went up with Stu, but she’s always a bit more hesitant with new things. She preferred using the net, but did get ankle deep in mud and caught a good bunch of polliwogs. Stu caught some too – with the canister lids! – but didn’t get his feet wet. I had squishy shoes. We took a few of them home, we do need some frogs in our fish pond. 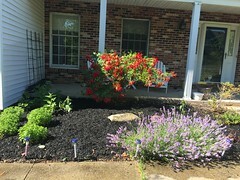 They didn’t survive that super cold winder two years ago. 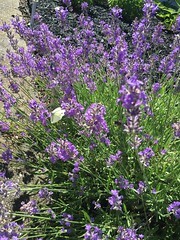 It was a quiet summer last year without any. #polliwog! Or are they #tadpoles? Ashlin was giggling so much she got hiccups. PS. Album is here for more pictures. 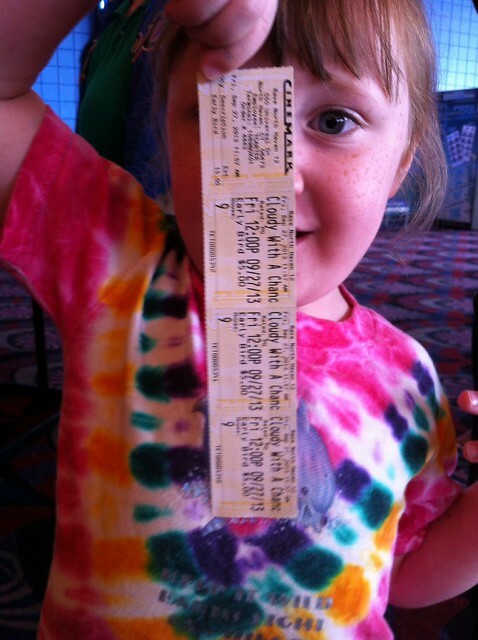 We took Teagan to see “Cloudy with a Chance of Meatballs 2” today. 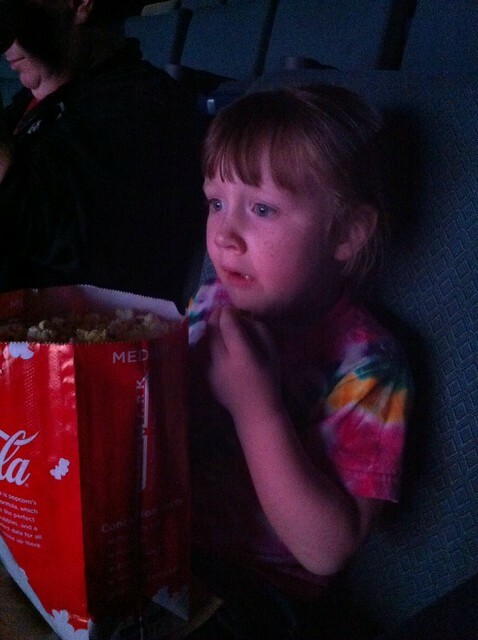 Her first movie in a movie theater! As young as 13 months or so, “Cloudy with a Chance of Meatballs” was able to pull her in. She would stop dead and watch the movie every time it came on TV. She would sit in Stu’s lap and watch the entire thing. We decided to wait for this release to take her. 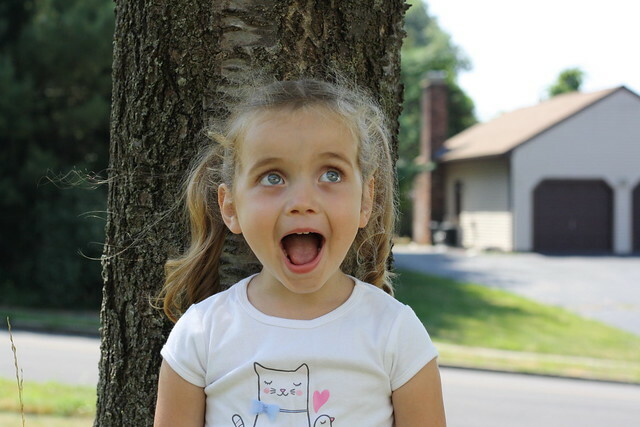 Needless to say, she was a little excited, as you can see, and also a bit nervous. She had no idea what to expect. Stu and I picked her up after lunch at day care and told her we had a treat. As we drove to the theater she asked all sorts of questions, why Ashlin wasn’t coming, what were we going to see, was she allowed to talk, dance, would there be a princess? She was excited as we walked in, barely able to stand still while we waited to buy the tickets. She was so good. We got her a popcorn – only a medium! – even though she wanted a large. We joked that the bag would have been as tall as she was, a large is just too big! Walking into the theater, she was a bit nervous, not really scared, as the sound was so loud. She was speechless when she saw how big the screen was. During the movie, there were times it was so loud, she’d put her hands over (or in) her ears. And coming from a kid who rushes the stage for bagpipes, it says something to the volume in the theater. The movie was pretty good, especially for a sequel, and mostly appropriate for little kids. It lagged a few times, and could have been trimed down a little. And there were a few times that Teagan was scared by what was happening on the food island, but mostly, she loved the movie. 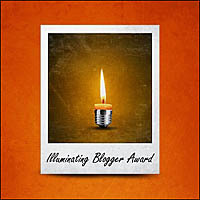 We all laughed at the foodimals – flamangos, eggplanatee, shrimpanzee, watermelophant. Although at first Teagan was scared of both the tacodile and the cheespider. I don’t like spiders much, and all the red eyes were a bit creepy, and french fries shouldn’t move like that. I think Stu’s favorites were the butter frogs and the mosquitoasts. So wonderful. The berries and fruit cockatiels were sweet. All in all, the movie was fun, surprising Teagan with a treat was fun. She’s looking forward to seeing another one soon, maybe with her sister, maybe not..
Today it was too hot. We stayed inside, in the air conditioning. After morning naps, which were a bit delayed thanks to a super late firework night last night and both girls sleping until at least 7am, we played games. We started Sturdy Birdy before Ashlin woke up, but Teagan decided she didn’t want to play after her second turn. 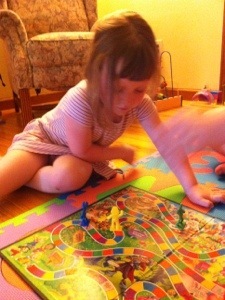 Once Ashlin was up, the four of us played Candyland. Ashlin was so excited to play, and she got to go first too! She didn’t quite get how the card selection becomes movement of piece, nor about player order. 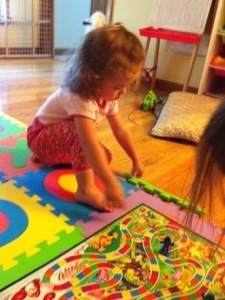 But she loved that she was first, and she was great at identifying the colors and the number of squares to go. It must have been beginners luck that had her win in three turns. We then put her in charge of the discard pile too, which made her feel super important. Hello Nemo! 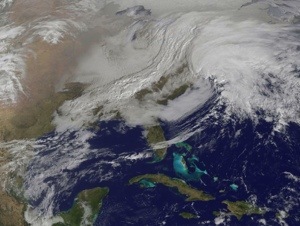 It’s the Blizzard of 2013! Snowpocalypse. Ok, enough. We have a lot of snow. At least a foot by now. The wind has turned up and is howling around the house. The drifting snow has turned the motion sensor lights on at least twice. There was something that sounded like hail, big rain, and then some thundersnow! And lightening! Yay! The girls got to play at day care for a few hours this morning while Stu and I got to do some work before we picked them up. He started shoveling, I went for the girls. By noon we had about 3 inches, I guess. He was back inside by the time I got back. Ashlin napped and Teagan snuggled and watched some fairy move on Netflix. I tried working a bit more. Not much luck with Teagan home, she is so nosey and just wants to know everything. Why you typing mama? Why is that blue, mama? There’s a 6, right there, mama! 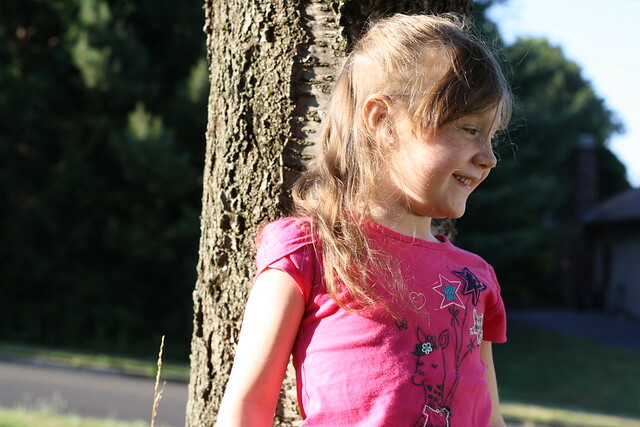 So, when Ashlin woke up, we went outside. Which is an enormous undertaking in itself. 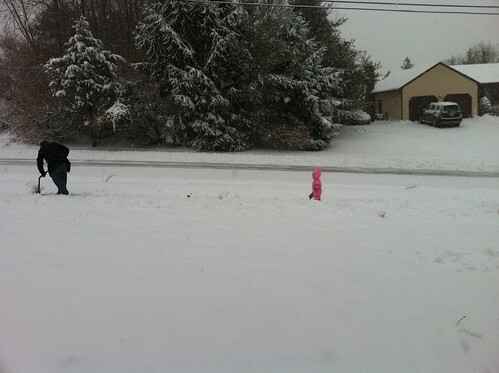 Two young kids, two snowsuits, pairs of boots, hats, scarf, mittens. Teagan got bundled up first, and sent out into about 5-6 inches of snow. I got Ash wrapped up and then made her wait while I got my gear on. While Stu continued to shovel the snow, I found some sand toys, dust pans, small shovel. 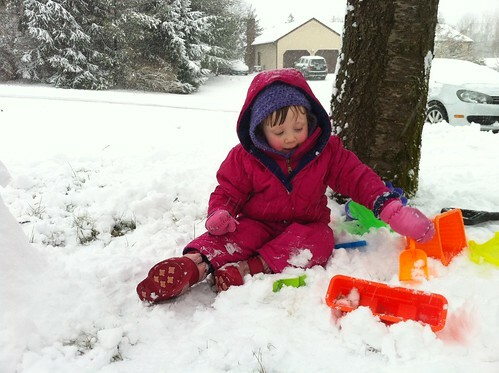 Ashlin would get stuck in the snow when she moved off the shoveled bit, she had trouble waking in it, it was so deep. And it packed well! We made some snowballs, threw those around. Though Ashlin didn’t want to, she held on to hers. We molded snow, made a snow man, used the sand toys to make a small fort in front of him. The girls took turns helping Stu shovel. I shoveled a bit too. Then we went sledding a bit. And then was the rush to get out of the snowsuit. We made it though! The girls warmed up with some hot chocolate. 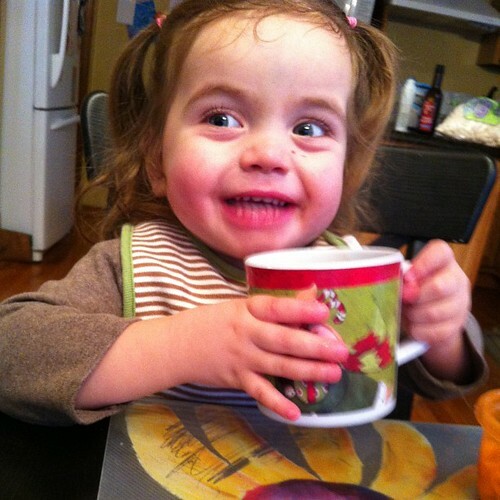 Ashlin had her first mug, (warm! ), and she loved it. Or was it the marshmallows on top that made her so happy? Maybe both. Stu and I went back out to shovel once the girls were in bed. There had been so much snow that fell between our sortie three hours earlier that you almost couldn’t tell. It’s now about an hour and a half since we shoveled, and again, it’s like we never went out. We must have gotten at least four inches. Anyway, we’re done for the night. Fingers crossed we don’t lose power, they expect about 30% of the state to be out before all is said and done. Yo Gabba Gabba has been canceled, (boo! I was strangely looking forward to some dancy dance), so we have nothing to go out for tomorrow. We can take our time getting whatever snow we get off the porch, path, driveway and cars. I will admit to not looking forward to the end of the driveway! Even with all this snow, I’m happy I live here, and not where it rains spiders. Happy Fourth of July! Let’s share a few firsts. 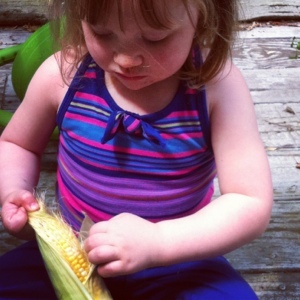 Teagan shucked her first ears of corn today. She was such a big help, getting all the husks of f, and even some of the silk. Asking why the entire time. Why can’t we eat the husks? Why are there silk? Why not eat the stem? Can I have it now? Eventually, she got two of the four ears done for me. And was so happy to be helpful. She was so excited and eager to eat the ear of corn she ended up licking an ear before I could stop her! 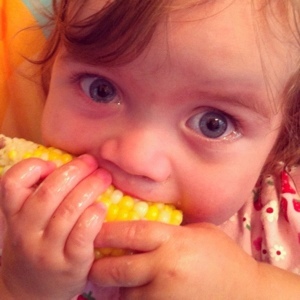 Ashlin had her first ear of corn. 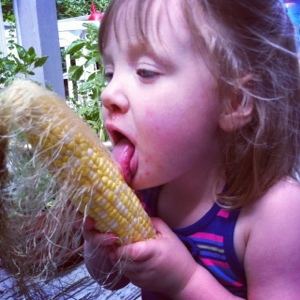 She’s always been a fan of corn, frozen corn that is. 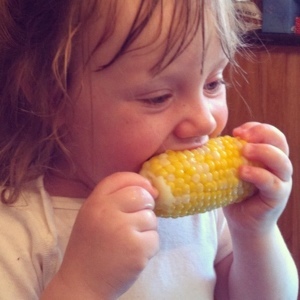 Until today, she’s never had an actual ear of corn. She was a bit confused about how she should eat it, sucking on the two ends first, but she eventually got an effective bit down, and was able to eat about half the kernels off the cob. She got super excited when I cut the rest off, signing “more” while I was getting some on a fork for her. Though she needed a bit of prompting to actually finish eating her half ear. But then again, that’s par for the course with her at meal times it seems. Unless there are pancakes. We can’t eat pancakes all the time, so, yes, we coax and prod her to finish her small plate. A plate that has less than half the food that Ashlin eats while hardly stopping to breathe. 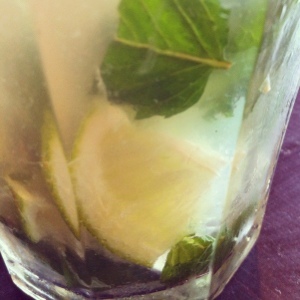 Granted, the mojito I had for an appetizer helped a lot! Today was Teagan’s first swim lesson. Ashlin’s too! I ended up going in with Ashlin, but before I did, I got to take a few pictures of Teagan and Stu. Teagan, our penguin at bath time, was very unsure, unwilling to go in the pool, once we got there. I don’t think she realized that she’d be going in alone, without one of us holding her. Stu stayed with her, slowly encouraging her to get closer and closer to the water, to get her feet in, to kick along with the rest of the class. Eventually, she went in, and went whole hog! There was green light/red light kicking! There was backstroke! There was splashy ball! The other kids needed a three count, Teagan jumped in at the count of one. 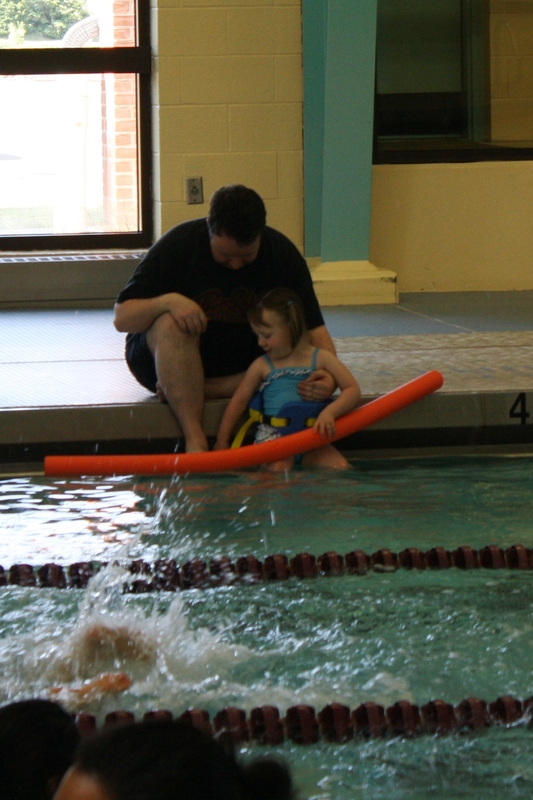 She went half the length of the pool and back in the back stroke, kicking better than any one else. I wish I had seen it. Stu said she did really well, once she got over her initial reluctance. Ashlin, well, didn’t do quite so well. Class was just about nap time, and we were out late last night for the fireworks. She was very fussy. She cried almost the entire time in the pool. I did not let her get out, I’m such a mean mommy. There were some times she was happy, or less unhappy I should say. There was singing. She liked that. We sang modified versions of “If You’re Happy And You Know It” and “The Wheels On The Bus.” She was perplexed by the word changes, but happy for the songs. I couldn’t turn her so she could look out, she just wanted to snuggle in, hugging. I would move in to the group when she quieted, and move away as she geared up crying. Towards the end of the class, I sat her on the gutter, counted one-two-three and she lent forward, not quite diving towards me. Quick spin around with extra happy voice and I put her down again. She did it again. And again. Both girls napped at least two and a half hours after swim class. Next week, we’re going to try to nap her before we go. Hopefully being more rested will work better for her. I’m looking forward to watching both of them in the pool. I really can’t believe how big Teagan is getting. How grown up. Today and yesterday, we finally introduced Teagan to Disney. Well, to movies other than “Cloudy, With A Chance of Meatballs.” She’s probably been passively aware of the Princesses, (a pair of Princess underwear magically appeared in her drawer, and has a Sleeping Beauty dress-up), and other things Disney, she did get Fillmore’s Tent for her birthday. (It’s a conspiracy man!) Up until now, we’ve never really watched anything Disney. We started with “Sleeping Beauty.” I talked it up over breakfast. How it was one of my favorites, with music from and inspired by Tchaikovsky. For giggles, we made her say Tchaikovsky a few times. She got pretty close, once. The credits confused her, she wanted the movie to start. I explained that it gave a brief sampling of the music in the movie, and that seemed to satisfy her. A little. She was fascinated. Glued to the tv. Well, at least for the first bit, then, for her, it got a little slow and her attention lagged. Too bad there wasn’t more bunnies in boots and owls in hats. She wasn’t scared of Maleficent in the beginning. It was the creepy castle and the Forbidden Mountain that scared her, a little. Oh, and Maleficent turning into a mean dragon. She loved how the dress went from pink to blue back to pink. Trying to avoid bedtime, she asked for both movies. Today was “Winnie the Pooh” and then “Peter Pan.” Pooh, she calls “Windely Pooh,” and she wasn’t overly impressed, but that could have been her attention span. She wanted to go swing and slide. “Winnie the Pooh and the Honey Tree” did pull her in, she thought it was pretty cool, and attempted to sing along to Little Black Rain Cloud. I would have tried “Cinderella” or “Little Mermaid,” but never upgraded my old VHS versions to DVD. And the VHS are at my parents house. 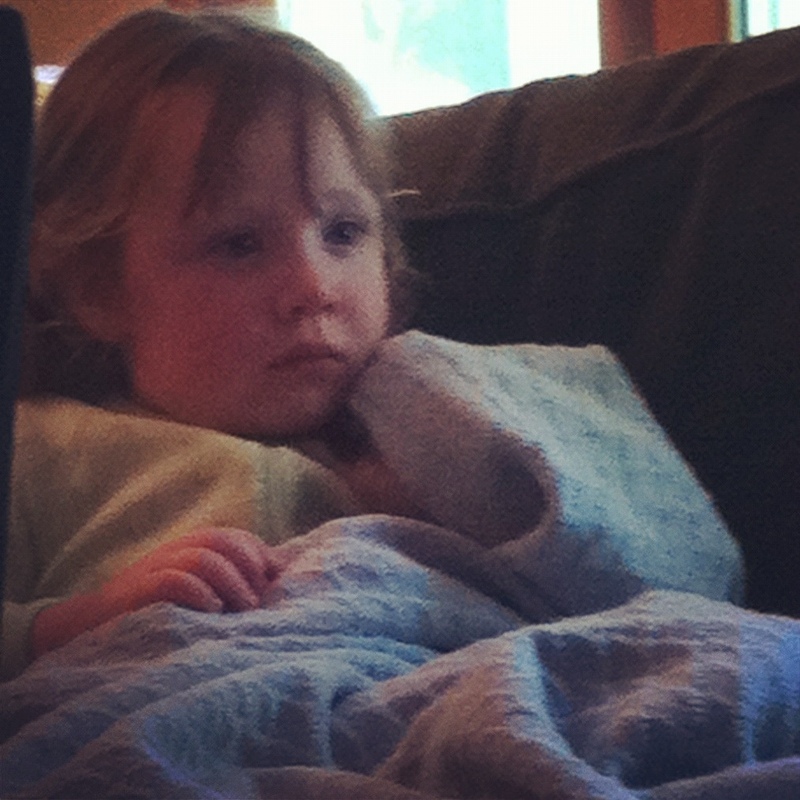 Now that she’s able to watch about half a movie without losing interest, I’ll have to get the DVD versions. I don’t know if she needs to be aware of Princesses yet, or any of it, but I enjoy the movies, and I enjoy watching her watch them. I’ll need to counter all the help-me-I-need-a-prince-to save-me with some self-sufficiency and fencing lessons. 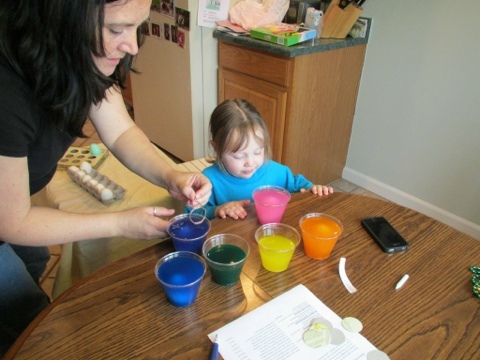 Today Teagan colored easter eggs for the first time. It was almost fun. Well, parts were fun. Actually, most of it was fun. She was so excited when she saw all the colors. 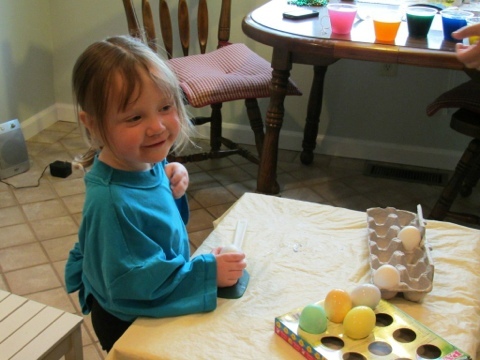 She was amazed when the eggs changed colors. I have to stop and remember that she doesn’t know about things… Why you shouldn’t bang the eggs together, or bend the holders, or eat the wax crayon. Some times I assume she’s a little person that’s been around, not one that’s brand new. In a way, she does still have that new car smell. I need to remember that more often. She really enjoyed it, and she did slow down a bit, not being the total dervish that she normally is. 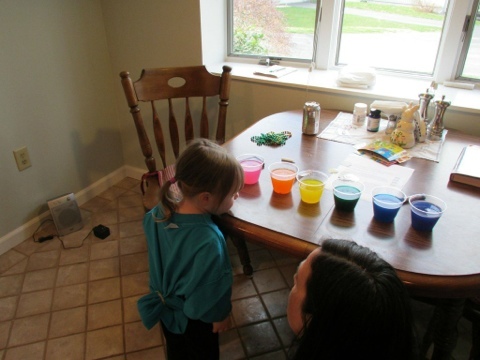 She didn’t quite understand why she shouldn’t put her fingers in the cups of color… She has some Easter egg colored fingers now. And the dye took much, much longer than I remember. Longer than a pre-schooler can be expected to wait. You can see her willing the egg to turn pink. 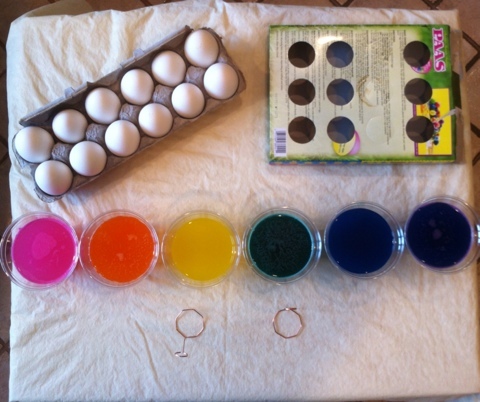 I’m sure that when I was a kid, the eggs picked up color a lot faster! 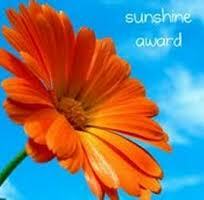 Or are those just rose colored glasses? Our eggs did turn out ok, after all. And a little wax isn’t going to hurt her. 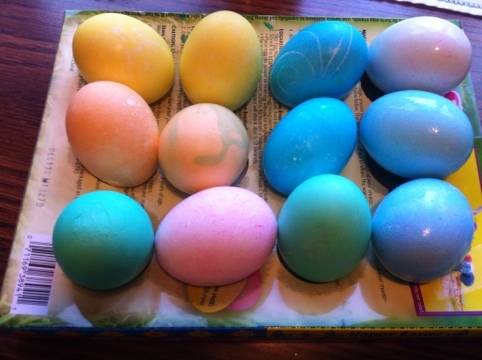 I am looking forward to next year, when we may be a bit more artistic with our eggs. She’s looking forward to having more deviled eggs too. Ashlin said her first word today. Well, tried to. 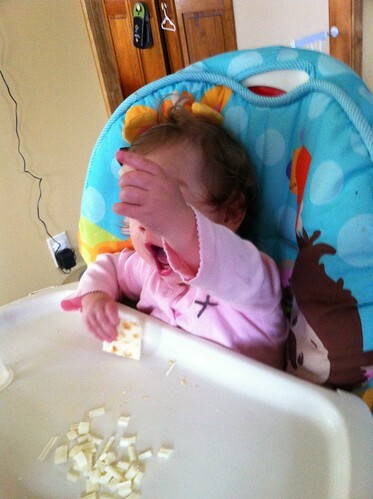 Stu was feeding her pieces of string cheese, and swears she said “cheese.” When I got there, Stu asked her to repeat it, and she did. It sounded pretty close to “cheese,” though I’m not sure if anyone else would understand it. Her first word is cheese. My baby! I’m so proud. This may be the first pony tail that Stu’s put in. 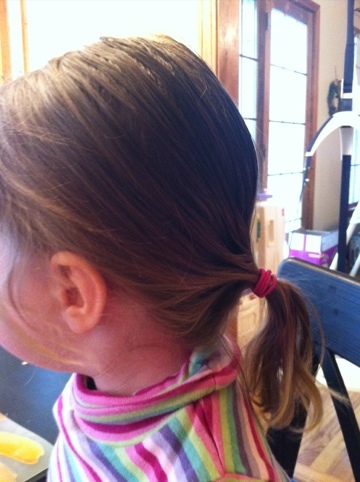 A very good first pony tail! Stu’s combed her hair in the morning before, but always seemed to find something else to do when the elastics came out. Somehow, I’ve always done the pony tails, piggy tails, braids, curls, whatever. PS. Ashlin does not like ponytails. Barrettes aren’t too bad, but ponytails? No go. So far, anyway.